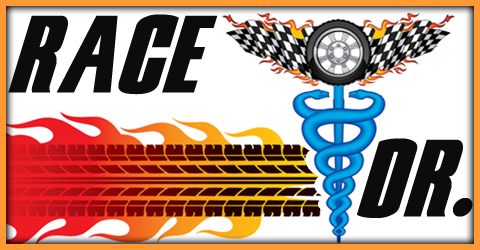 September | 2018 | The Race Dr.
My #5 driver to watch is my #4 rated road course driver, #14 Clint Bowyer. Clint has been great at Sonoma and pretty good at Watkins Glen. In total on the roads Clint has 26 starts, one win and Ten Top 5’s (38%). My #4 driver to watch had a road course this year, #78 Martin Truex. Martin won at Sonoma Raceway in June. On road courses Martin has been very good. He has 26 road course starts, three wins and eight Top 5’s. He is #1 in points, by virtue of points he is locked into the Playoffs all the way to Kansas. Martin is free to take some chances on the 17 turns in the Queen City. My #3 driver is the #3 hottest driver over the last six weeks, #4 Kevin Harvick. Even better Kevin is our #2 ranked road course driver. He is coming off a second place finish this year at Sonoma Raceway. Kevin has 36 starts, two wins and 10 Top 5’s. My #2 driver is my #2 hottest driver over the last six weeks, #41 Kurt Busch. Kurt has just 36 starts, one win and ten Top 5’s. He is our #3 ranked road course driver. He might be leaving Stewart Haas at the end of the year but he is determined to go as far into the Playoffs as possible. The #1 pick has the most road course wins of any active driver, #18 Kyle Busch. Kyle has 28 starts, four wins and 10 Top 5’s. He is rated #1 on road course tracks and is coming off a big win last week in Richmond. Monday we preview the Gander Outdoors 400 from Dover. Here are our Top 30 drivers for Sunday’s race. Friday we’ll break down the Top 5. Saturday saw a huge win for #18 Kyle Busch and he joins #2 Brad Keselowski as two drivers who are locked into the Playoffs all the way to Kansas. Martin Truex Jr. is also set by virtue of points. These three drivers and their teams know they will roll deep into the Playoffs. Three drivers will be eliminated on Sunday at new race course on a very old track. We do know that Stewart Haas Racing remains at #1 for the fifth straight week. Another Ford outfit, Team Penske stay in the #2 spot. The winning team this week Joe Gibbs Racing hold at #3. Furniture Row Racing also stay put, they are at #4. Hendrick Motorsports, who could lose two of it’s three Playoff drivers on Sunday did rebound moving up two places to #5. Richard Childress Racing stay in the #6 spot again this week. Chip Ganassi Racing with both drivers in the playoffs stay in place at #7. Wood Brothers Racing remain in the #8 position. JTG Racing also stay at #9. Roush Fenway Racing also stay put at #10. These are the Top 10 Teams, Thursday look for our Top 30 drivers at Charlotte. Top 10 on Road Course tracks, tomorrow look for our Top 30 rankings for Sunday’s BANK of AMERICA Roval 400 from Charlotte. Only one race remains in the first stage of the playoffs. We’ll see four drivers eliminated in this race. A great deal of pressure will be on the field of 40 drivers, the most pressure however will be on the four drivers lowest in points: #14 Clint Bowyer, #48Jimmie Johnson, #20Erik Jones and #11 Denny Hamlin. And to add to the pressure while they race at all too familiar Charlotte Motor Speedway, this race is the first under the Road Course Oval course or Roval. Instead of 1.5 mile oval with four turns, we have a 2.28 mile road course with 17 turns. A new course in pressure cooker conditions! This race will leave us with12 drivers in Playoff contention. For sure we know that #2 Brad Keselowski and #18 Kyle Busch will advance to the Round of 12 by virtue of their wins at Las Vegas and Richmond. #78 Martin Truex is locked in also by virtue of points. Three of the twelve drivers in the Playoffs will advance from this race regardless of what happens. be, no matter what happens they will advance. #78 Martin Truex scored a road course win earlier this year at Sonoma Raceway and #9 Chase Elliott was the winner up at Watkins Glen in August. Will we have a third different road victor at the Roval or someone new? Who will get eliminated from the Playoffs? We’ll know by the end of the day on Sunday. Tuesday look for our Top 10 drivers on road course tracks in advance of the Bank of America Roval 400. My #5 driver is a three-time winner here, #4 Kevin Harvick. Kevin has 35 starts, three wins and 13 Top 5’s. He my #2 ranked short track driver and also performs well at oddly similar Phoenix Raceway. Lastly, Kevin is just getting better here, in the last 14 races here Kevin has two wins and eight were Top 5’s! My #4 pick is the hottest driver on the circuit, #2 Brad Keselowski. Brad got the first Playoff win in lucky Las Vegas so we know he is set all the way to Kansas. You could say that now he is playing with house money and he can take some risks. Brad has 18 starts here, one win and four Top 5’s. His win came in the early race in 2014 but in April he finished 8th. He is my #7 ranked short tracker. Don’t forget with three straight wins he is #1 hottest over the last six races. My #3 driver is another three time winner here, #11 Denny Hamlin. Denny has 24 starts, three wins and 11 Top 5 finishes. Denny is #11 hottest over the last six weeks and is rated #3 on short tracks. He finished 3rd here in April one of four straight Top 5’s here. The #2 driver to watch is my #1 rated short track driver, #22 Joey Logano. Joey has nine straight Top 10’s here and six of those were Top 5’s and two were wins. In total Joey has 19 starts, a win in April 2014 and in April of 2017. He has a total of eight Top 5’s. He is #1 rated on short tracks but he finds himself #8 hottest over the last six races. The number #1 driver is the most recent winner here, #18 Kyle Busch. Kyle has 26 starts, the five win’s, and 16 Top 5’s. For those counting at home that is 61% Top 5’s! Five of his last six starts here were Top 10 finishes, half were Top 5’s a big reason why he is #1 in average finish. We know he is good here and it doesn’t hurt that he is #4 hottest over the last six weeks. His team Joe Gibbs Racing have won half of the races here in the last ten years. Monday look for our preview of the Bank of America Roval 400 from Charlotte Motor Speedway. Friday we break down the Top 5 drivers to watch in the Federated Auto Parts 400 from Richmond.